55SH Series II, Dynamic Microphone from Shure. 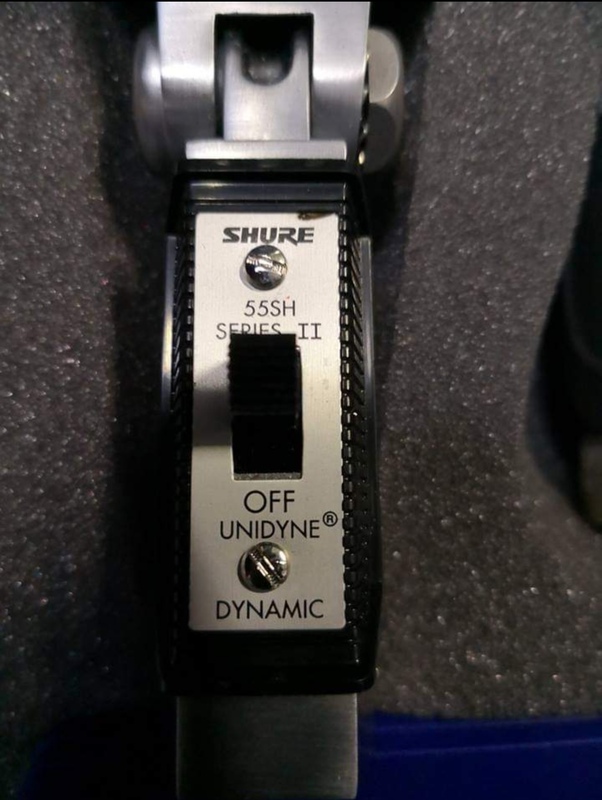 The Shure 55SHmic was basically created to record voices and those live instruments (most people have never tried to use this on instruments) and I must say it does so extremely well. When you record those brass instruments with it, they come through crystal clear. Just make sure you keep it at a decent distance away from the instruments because there is not screen or anything to stop clicking and popping. Which is good because that’s how you are going to get the real sound of the instrument and nothing to disembody it at all. I recommend anyone using instruments such as a snare drum, guitar amps and congos or kick drums along with the sax and woodwind instruments to use this mice immediately you wont find a better mic at such a good price. 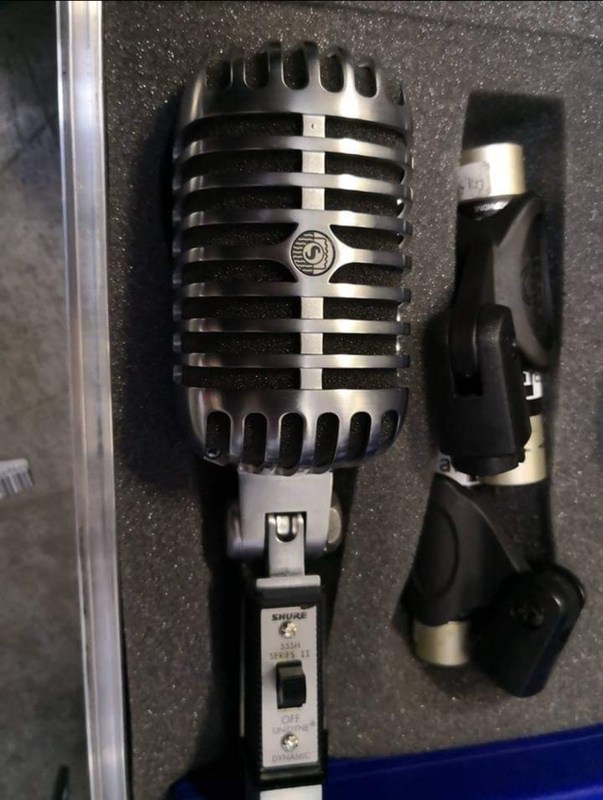 Once you look at the price of this thing you will say to your self that this cant be a good mic. But Shure has created top quality mics that are extremely affordable for years and this on tops them all off. We have all searched for a mic that can record live instruments, the better mic are extremely pricey and aren’t as good as they sound. The Shure 55SH is the instrument microphone that we have all been waiting for, I am even thinking of purchasing a few more of these as I am getting into playing more and more live instruments. The 55SH is extremely effective grabbing the natural sound of your live and while not picking up any background noise that is flouting around in your studio. The Shure 55SH delivers great performance and its very reliable and diverse. This mic has been chosen by several artist and producers worldwide, so you should give a try and you will see that this is the mic for live instrumentals you have been searching for your whole career. This will do it all for you. The Shure 55SH Series II is a cardioid dynamic microphone that harkens back to the days of Elvis. The 55 comes back new and improved. The Shure 55SH Series II has a frequency response of 50-15,000 Hz, identical to Shure's bread and butter microphones, the SM58. 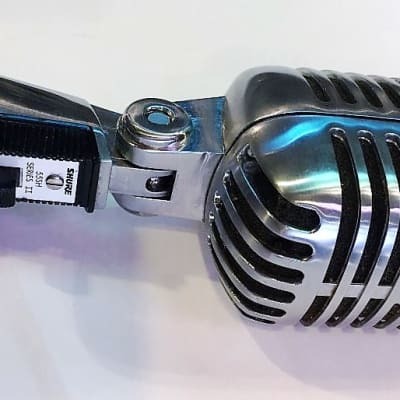 What is interesting about the microphone - not particularly this one, but the whole design of this kind of microphone - is that you would not expect it to be a live microphone from the way it looks. There does not seem to be a place to hold it, does there? Well, if you look at old videos, people sing into the microphone like they are walkie talkies, clutching the actual body in the hand, or often, using both hands. This is important to mention because it may come into concern. Before I get off of the entire issue of holding the microphone, in the bit of time I had with it, I never once experienced an accidental flick of the on/off switch. Of course, I am sure some people will inadvertently flick the switch anyway, so beware. I have never really been a fan of on/off switches. Their usefulness is apparent, but I think they look hokey, and I am consistently paranoid about flicking it. However, with this microphone, there is very little fear in that regard, because your hands are not even in contact with the part of the microphone that hosts the switch! That being said, the microphone does not sound that incredible, but then again, there is absolutely nothing bad about it either. 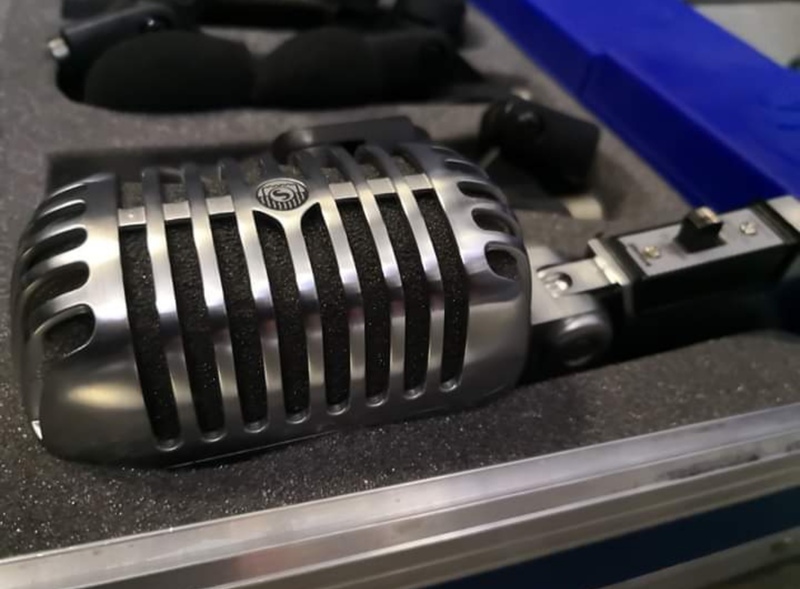 In this day and age, I am inclined to call it "the fancy 58" because that is what it seems to be, a stable vocal microphone in a blinged out shell. The microphone does turn heads, though, and in the one blues club I found this in, it fit perfectly, and still turned heads. 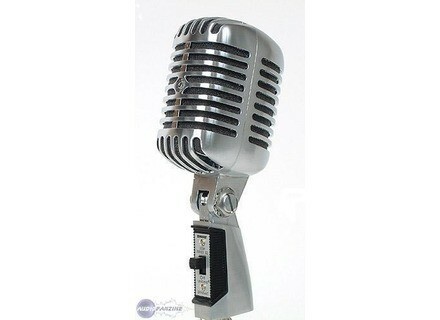 Here is a very nice looking vocal mic intended for the stage. 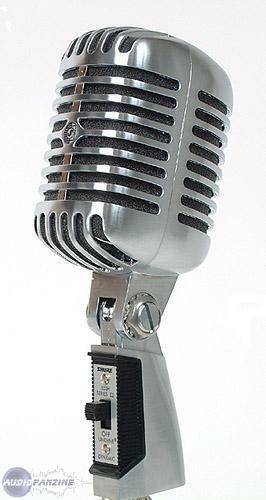 It is very stunning to look at as a throwback to the retro mics of the 50's and 60's. You would expect to see Elvis grabbing one of these and singing into it. Apart from the extraordinary appearance, it is actually not a bad mic for live purposes. I find that it sounds very similar to the Shure SM58, and I would not be surprised if it is actually the same cartridge inside. This is a dynamic mic and you don't need any phantom power for it. It will connect with a standard XLR cable. It doesn't have a low cut filter switch on it, but the frequency response definitely seems to drop off fairly quickly below 65 Hz or so, so one is not very badly needed. It is a cardioid pickup pattern, so you will get the rejection you need for this perform well on a stage. One handy feature that it has apart from turning heads is the on/off switch. I think those are very underrated for live vocal mics since they come in handy all the time. I bought this maybe 10 years ago when I was doing more gigging. I thought the sound was definitely passable for a live club setting, and the fact that the mic really caught the eye was a nice bonus. The frequency response is tailored for vocals, with a presence peak for intelligibility and a low roll-off to reduce rumbling. You end up with a pretty full and even sounding vocal coming through this which your live engineer will appreciate. These will cost you around $150, which is not much more than the similar sounding SM58. I think it's worth it and a good value. I'd get it again. I love the retro look and futuristic design. It really does feel like something serious in his hands. For cons unless you get on a microphone stand at € 20 it quickly becomes very heavy to carry at arm's length. The cell is not the same as on the SM58. 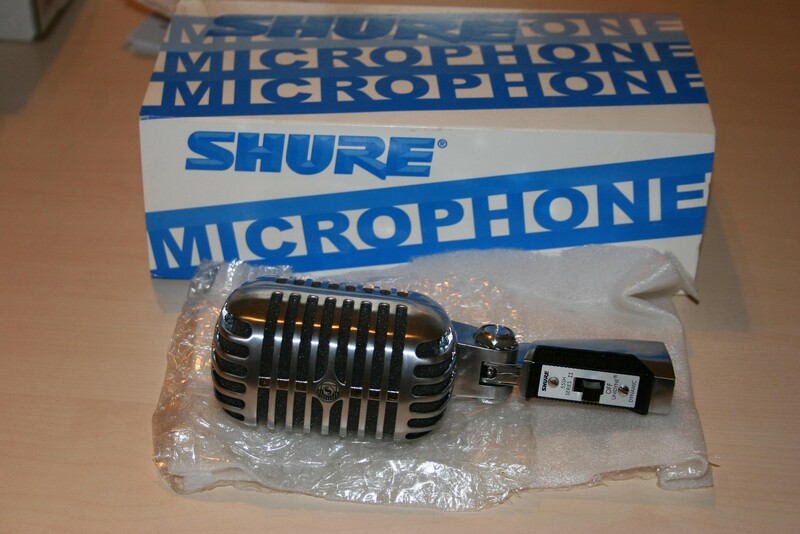 I read on the site of Shure and I have seen in the dismantling. This is a great rectangular cell which will not stand in a micro type ice cream cone. All trust. Model for New pricey but I have had occasion to € 150, prices argus. With the experience I would do the same choice ^ __ ^!